After our commitment ceremony in 1997, we spent our honeymoon in Southern California, including Disneyland along with the only part of California Adventure that was open at the time–Sorain’. 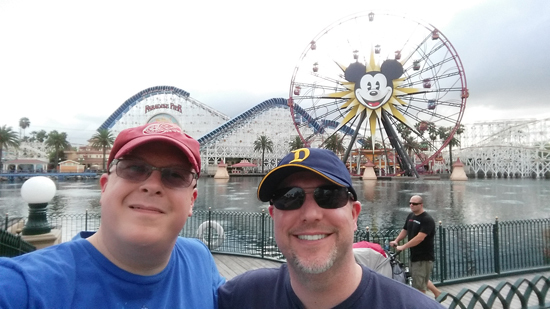 Since we were in San Diego for GayRomLit, we decided to stop at Disney on the way home (which was easy since this was a road trip) and celebrate our fourth anniversary of legal marriage. 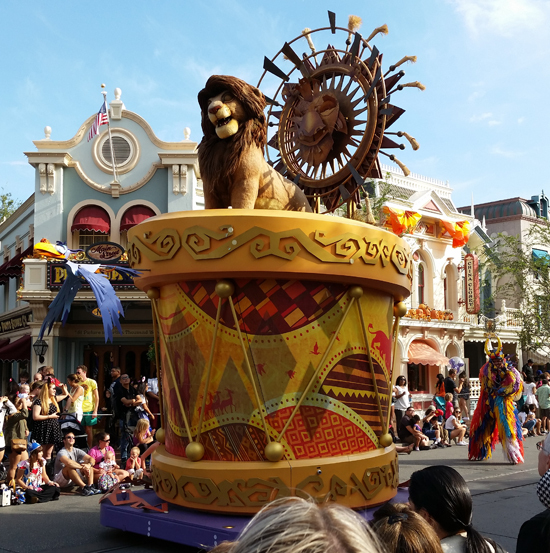 We had about a day and a half in the parks and it was a spectacular time, as you’d expect. It was great we stayed at the resort. Our hotel, Paradise Pier, was just across the street from California Adventure (we could see the ferris wheel–also known as Mickey’s Fun Wheel–outside our window) and it was an easy walk to get inside. We kicked off in California Adventure, arriving around 2. We got a special dinner package, which let us get priority seating for World of Color Celebrate!, so we spent some time before walking around and doing rides some rides. We revisited Soarin’, which was just as awesome as ever, and did Ariel’s Undersea Adventure. We had an amazing dinner at Carthay Circle Restaurant. Everything from the house biscuits, fried and stuffed with white cheddar, bacon and jalapeño (we could’ve eaten dozens of these) to the entrees to the Crème Brûlée Tart for desert were delicious! 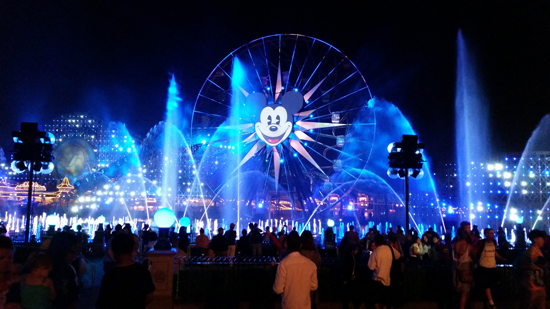 Speaking of World of Color Celebrate!, the show was everything you’d want in a Disney night time spectacular. Hosted by Neil Patrick Harris, the show was a trip through the Disney archives as well as a bit of history on the theme parks. Monday morning we were back at California Adventure to take advantage of the extra magic hour, which we spent getting into Cars Radiator Springs Racers. We’d tried to do this on Sunday, but the wait was near two hours. Coming back at 7:30 Monday morning, we were on in about twenty minutes. It was an awesome ride that started out slow and then went fast and furious! 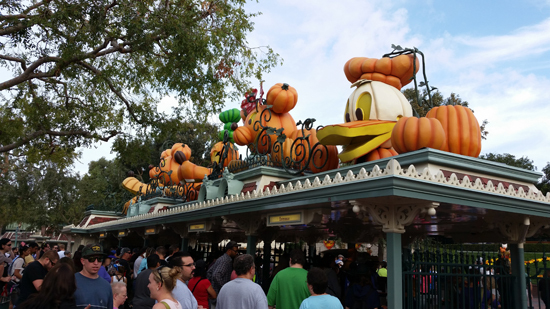 Next we hopped over to Disneyland, which was decked out for Halloween. We hit up a number of classics in the Magic Kingdom. It was our first time to see the revised Star Tours and it was super cool with the new effects. We should’ve done it a second time to see a different adventure too since it’s supposed to randomize. We both rode the Matterhorn for the first time (crazy that it was our first time for that classic ride, but it was). We did a lot of classic “dark” rides too–Pirates of the Caribbean, Alice in Wonderland, Mr. Toad’s Wild Ride, Pinocchio’s Daring Journey and Snow White’s Scary Adventures. Peter Pan had a way too long wait time, so we by-passed that. Return visit was also paid to Indiana Jones. Plus we did the Finding Nemo Submarine Voyage since we hadn’t seen this ride since the Nemo element was added to it. Lunch was a great meal at Blue Bayou, which is in the New Orleans area and allows you to see into Pirates of the Caribbean. We ate here during our ’97 honeymoon and it was wonderful to return. Parades were a big part of Monday as well. 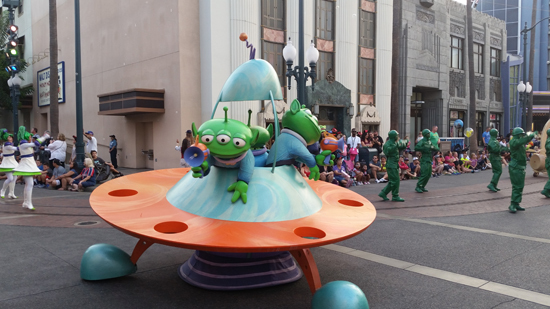 We started with Mickey’s Soundsational Parade in Disneyland and then caught the Pixar Play Parade in California Adventure. They were both very cool and we lucked out with good viewing positions for both. We capped off the day with Aladdin: A Musical Spectacular. This forty-five minute retelling of Aladdin was cool, especially the carpet ride. It was the perfect ending to our theme park adventure. The pictures in this post are just a small sample of what we shot. You can see everything in our Flickr album.